Sabaa Tahir returns with the highly anticipated sequel to her best-selling debut, An Ember in the Ashes. 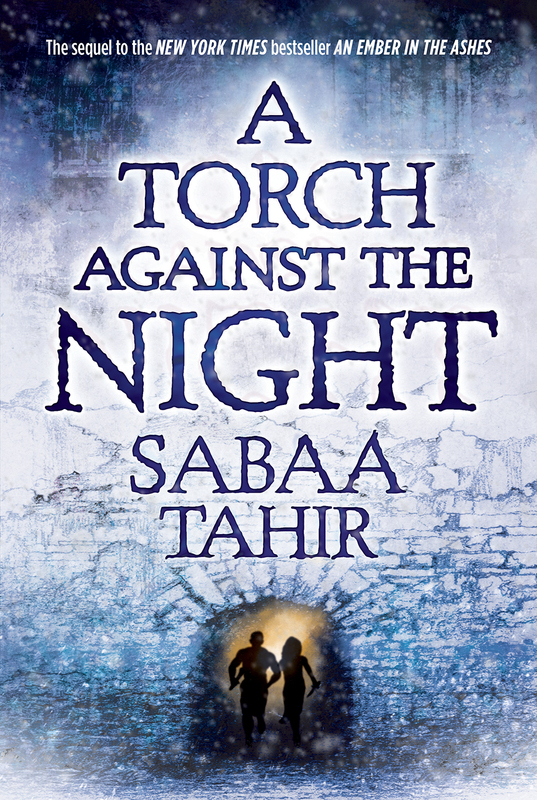 Picking up where the first book left off, A Torch Against the Night takes readers on a dangerous and thrilling adventure north to Kauf prison, where Laia—accompanied by the Empire’s most wanted fugitive, Elias—must save her brother before it’s too late. His knowledge of Serric steel is the key to the Scholar’s future and the Martial Empire’s demise. Meanwhile, Helene must choose between her childhood best friend and her duty as the Empire’s newest Blood Shrike. Tahir’s latest novel did not disappoint. In this follow-up, we get three alternating points of view from Laia, Elias and Helene, broken up into four sections. The short chapters and constant switch between perspectives helped me better understand the inner-workings of each character. Since reading the first book a year ago, I had forgotten most of the storyline. (I would suggest rereading the first book before diving into this one.) However, about 50 pages in, I found that I was able to reconnect with the characters and their struggles. Tahir’s intricate world-building just added another layer of intensity to the story. Filled with cliffhangers and massive plot twists, Tahir’s clever storytelling creates an air of suspense that kept me on my toes; I was dying to learn what happened next! Unlike the first book, this story focused less on romance and more on character development. Both Laia and Elias have matured since the Fourth Trial and although they escaped Blackcliff, they are battling their own inner demons. Elias—wracked with guilt and the knowledge of his dark fate—must learn to forgive himself for the atrocities he committed during the trials. With enemies chasing them at every direction, Laia knows that freeing her brother from prison is the Scholars’ last hope for survival, but can she trust those who have offered their help, and those whom she loves? People are not who they seem, and Laia and Elias are consistently forced to make conflicting and impossible choices that have terrifying consequences. In A Torch Against the Night, the stakes are higher, and every decision could affect the future of thousands of lives. The best part of the book, hands down, was Helene Aquilla. Although she was a difficult character to understand and relate to in An Ember in the Ashes, we are finally able to see the world from her point of view, and Tahir creates an incredibly brave and resilient girl-boss. A Torch Against the Night is ultimately a book about power: the power one group of people has over the other and the power men have over women. I cringed whenever Marcus tried to dominate, torture or manipulate Helene, Tahir’s brilliant representation of misogyny in a society. The intimate struggle of power between the new Emperor and his second-in-command was harrowing, but every time he tried to destroy, or rather “unmake” her, Helene would rise again, stronger and brighter than before. She is a torch against the night, and Tahir’s portrayal absolutely blew me away. I cannot wait for the next book in the series!